United Airlines serves a fairly good breakfast in first class, but the flight needs to be about 2 hours or longer. 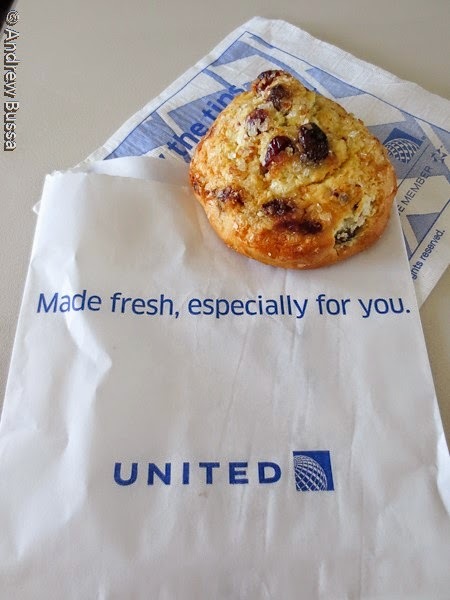 On shorter flights they serve a light snack, like this scone I received. They also have the full bar open, so they aren't cutting back everywhere. Grenada - Granada, What's the Difference?